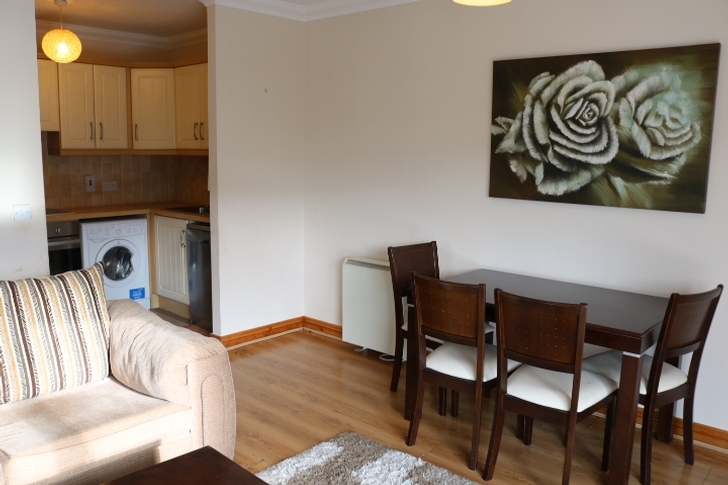 CME are delighted to present this fantastic two-bedroom apartment to the market. No. 11 is situated in the modern, well-managed development of Slade Castle. 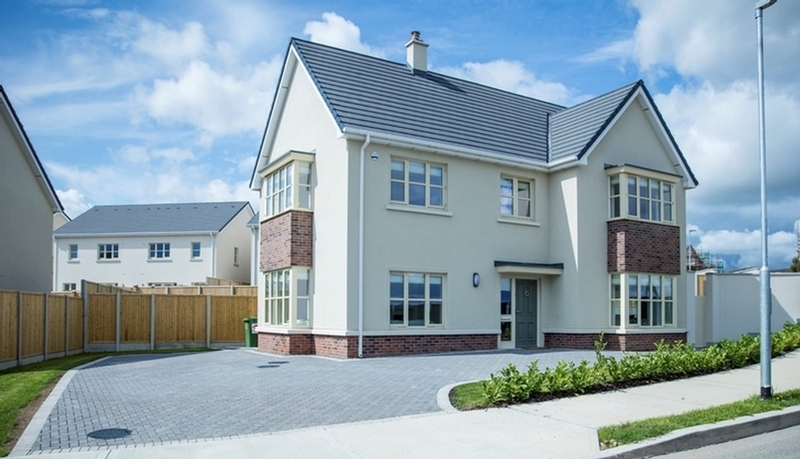 The area has a wealth of local amenities including shopping facilities, restaurants, schools/crèches and has superb transport links nearby such as the M7 Motorway, bus services and the Red Luas Line. This ideal starter home extends to c. 75 sq. 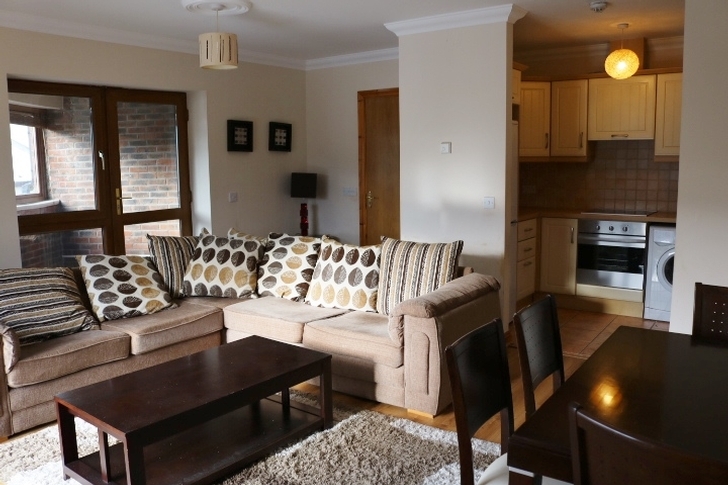 m. and consists of 2 double bedrooms, master en-suite, main bathroom, spacious sitting/dining room & fully equipped kitchen. 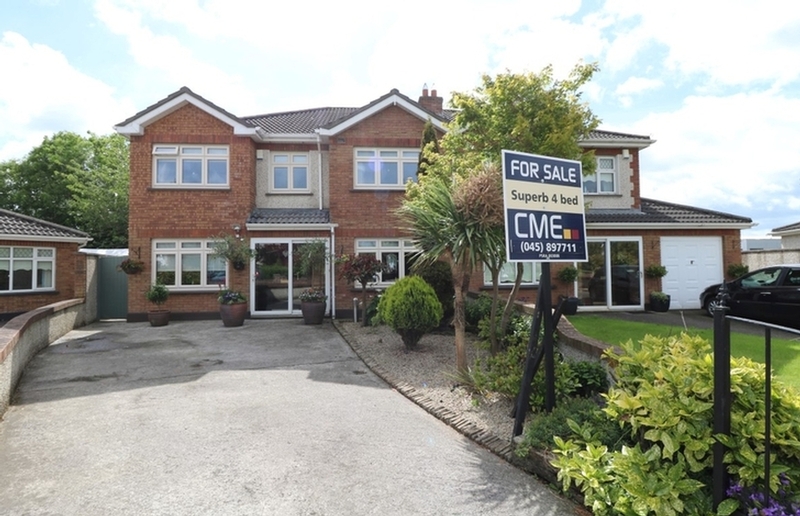 This property boasts a host of additional features including double glazing throughout, fully alarmed, a large storage press in the hallway and stunning views of the Dublin mountains. Viewing of this property is highly recommended and through sole selling agents CME. 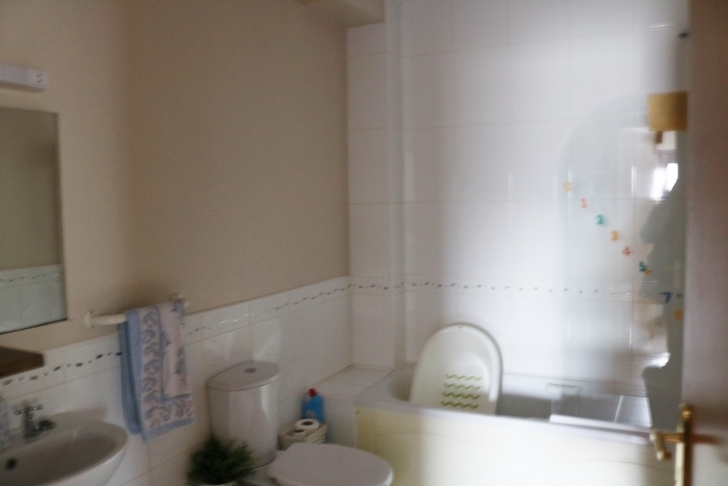 Excellent two bedroom apartment with master ensuite. Extending to c. 75 sq. m.
Double bedrooms with built in wardrobes. Large storage facility in the hallway. 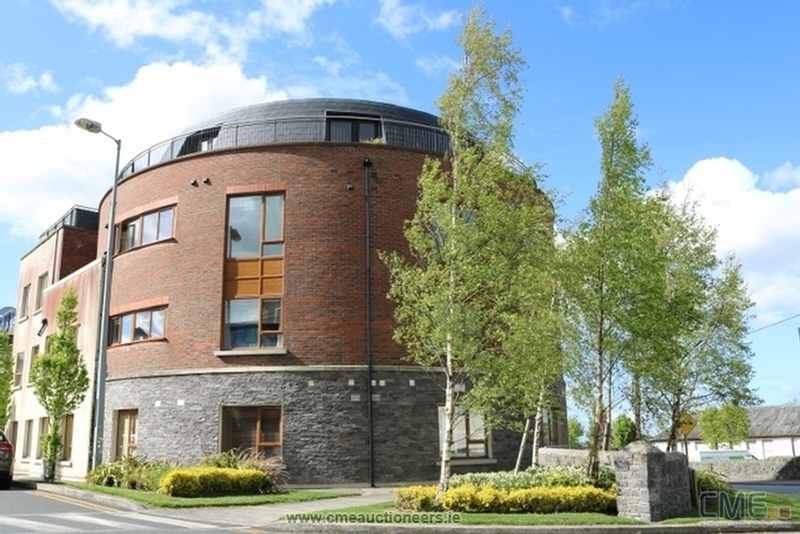 Excellent location within walking distance of local shops (Dunnes Stores & Centra), bars and restaurants (all within Slade Castle development). Ideal for 1st time buyers and investors alike. Ent. Hall, Living room, Kitchen/Dining room, 2 Bedrooms, Master Ensuite & Bathroom. Laminate walnut flooring, coving, alarm. 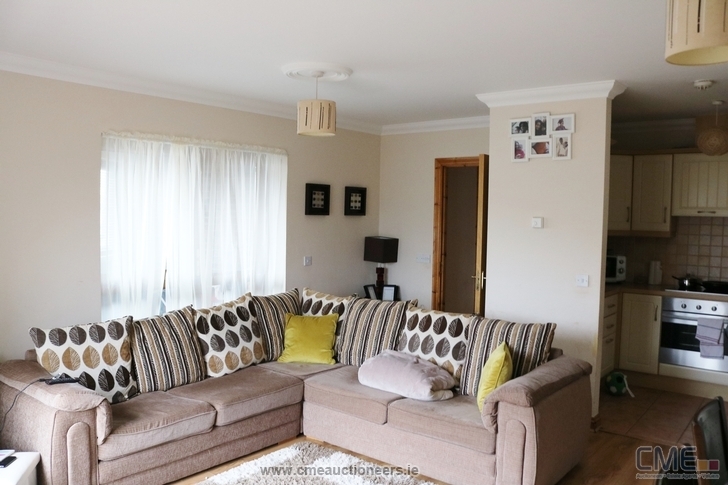 Spacious bright living area with Laminate flooring. 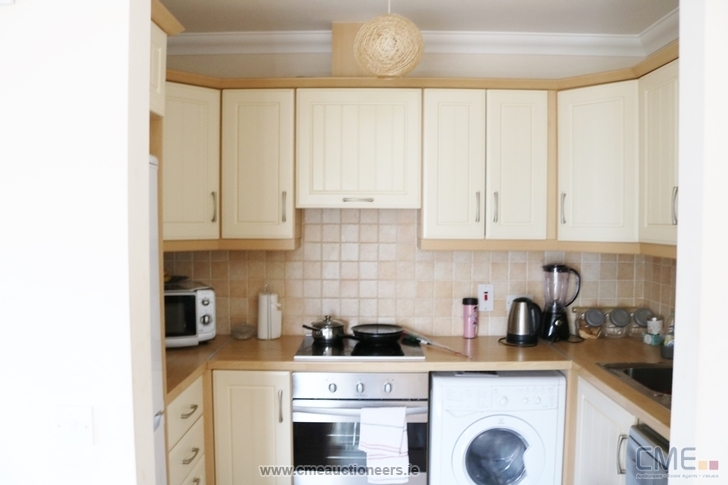 Cream kitchen wall and floor units with oven, hob, extractor fan, Tiled splashback and floor. 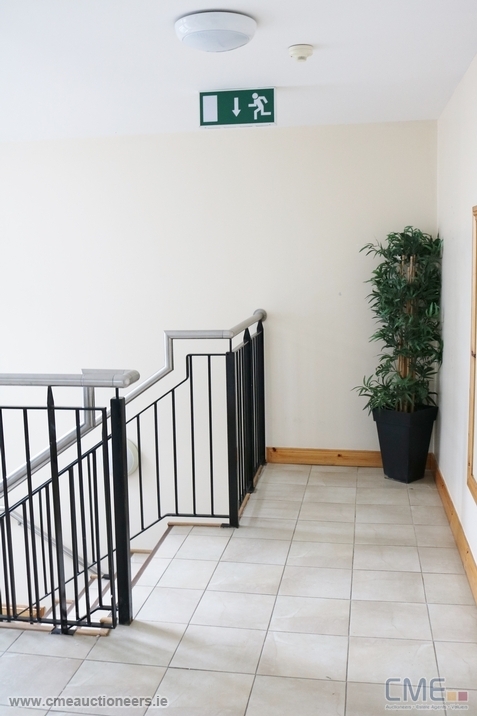 Carpet flooring, extensive built in wardrobes, En-suite, access to small balcony. WC, WHB and Triton T90 shower, floor & wall tiles. 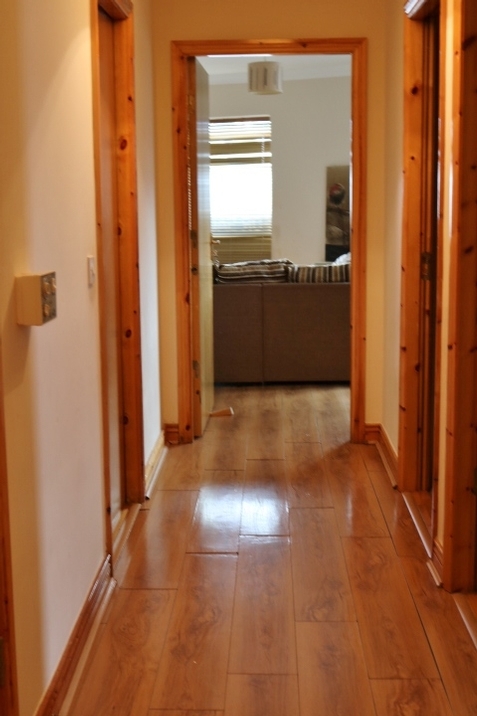 Carpet flooring, built in wardrobes, access to small balcony. WC, WHB & Bath with Triton T90 electric shower. Wall and floor tiles.